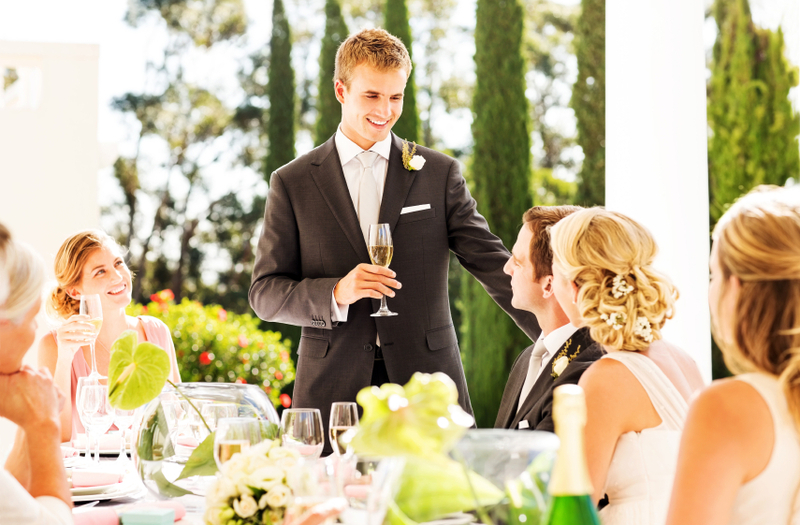 It has been a long-held tradition for the Best Man; Father of the Bride and Groom to speak at a wedding and these days it isn’t just the men who give speeches at the wedding – Brides have been known to speak too! Despite weddings being a day of celebration; joy and laughter it is very common for those giving a speech to be overcome with nerves either due to speaking in public or due to the pressure of wanting to deliver a great speech for the Bride & Groom. More recently some speeches are expected to be delivered with props or PowerPoint slides containing embarrassing baby pictures or images from the Stag and Hen parties. As a consequence those delivering a speech at a forthcoming wedding can be racked with nerves or feel pressure to do a fantastic and memorable job. The good news is I can help you, or those you have asked to speak at your wedding, to overcome the worry; assist with speech content and supporting materials including PowerPoint. I am willing to provide a package of support that includes guidance on delivery; overcoming nerves and coaching about delivering speeches that incorporates support on the day of celebration itself in the form of telephone support or Skype prior to giving speeches. I am happy to discuss and agree a price with you for this package. By all means if you require something more specific or if you have another situation involving giving a speech or presentation in a social or celebratory setting, please get in touch with your requirements and a price will be mutually agreed.